Commercial truck drivers have a serious duty to drive safely and responsibly. Not only might they be hauling expensive cargo or hazardous materials, but large vehicles such as tractor-trailers, semi-trucks and big rigs can do an enormous amount of damage when they’re involved in a collision. In order to keep roadways safe, truck drivers are required by law to get rest. Whether due to pressure exerted by their employers or simply not believing that they need as much rest as the law requires, many truckers fail to take their rest breaks. Semi-truck accidents caused by a trucker who is overly tired or even asleep at the wheel can be devastating. At the Law Office of Gary W. Fillingim, L.L.C., we help Alabama truck accident victims recover compensation for their injuries from negligent truck drivers and trucking companies. A drowsy driver can turn a tractor-trailer into a dangerous weapon on the highways of Alabama, putting you and your family at risk of serious injury or even death. If you’ve been hurt in a crash with a truck driver suffering from fatigue, find out if you may be owed money damages for your injuries by contacting the experienced Mobile truck accident lawyer Gary W. Fillingim for a consultation on your case. While you’ve doubtless noticed that tractor-trailers can be extremely large vehicles, you may not understand quite how much more damage they can do in a crash. While the average passenger vehicle weighs between 3,000 and 4,000 lbs, a big rig can weigh up to 80,000 lbs. This amount of weight moving at highway speeds can do enormous damage, and if a truck driver has fallen asleep or lost consciousness behind the wheel, the uncontrolled truck can result in serious wreckage. In order to prevent these sorts of catastrophic accidents, the Federal Motor Carrier Safety Administration mandates that all long-haul commercial truck drivers take at least ten hours of uninterrupted rest after a full 11-hour shift of driving, in order to ensure that these drivers are alert and prepared to get back on the road. Unfortunately, many carrier companies encourage their drivers to forego the full ten hours of rest in order to make the delivery faster, or drivers balancing multiple jobs feel compelled to drive through their mandated break in order to keep their clients happy. No amount of caffeine or other stimulant drug can make up for getting the rest the driver needs, and when drivers fail to sleep, serious accidents can be the result. After you’ve been injured in a crash with a large truck or semi, don’t wait to take action on your claim for damages. Evidence, including physical proof from the scene of a crash or the memories of those who witnessed the incident, can quickly decay, and if the statute of limitations expires before you can file a lawsuit, you’ll lose your right to sue entirely. You’ll give yourself the best chances of receiving full compensation for your injuries by speaking with a truck accident attorney as soon as possible after it happens. If you have been injured in a Mobile truck accident caused by a fatigued or careless truck driver, contact the Law Office of Gary W. Fillingim, L.L.C. 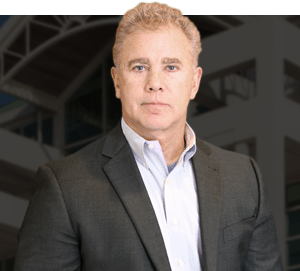 at 251-445-7257 or at www.Fillingimlaw.com, and speak with a dedicated and successful Alabama vehicle accidents attorney.